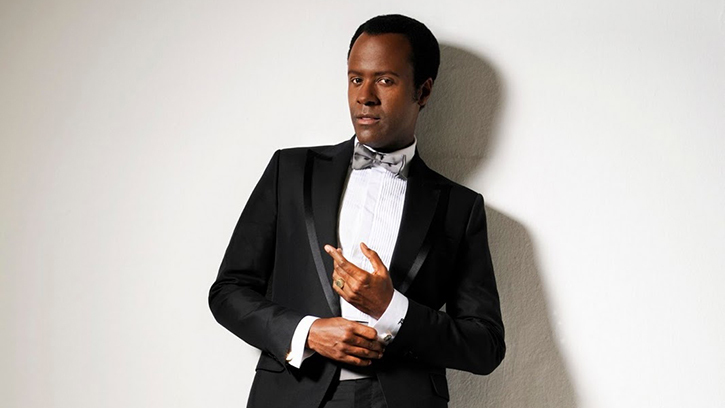 The Seattle Symphony’s Featured Artist this season, tenor Kenneth Tarver performs music by Berlioz, Ravel and Stravinsky with Music Director Ludovic Morlot and the orchestra. Conceived for more than 300 musicians, Hector Berlioz’s Requiem alternates between grand gestures and intimate moments. With multiple choirs and brass ensembles surrounding the audience, Berlioz even suggests that the tenor solo could instead be sung by 10 tenors — if the conductor chooses. Instead of ten soloists, however, Seattle Symphony Music Director Ludovic Morlot has chosen to feature the voice of a single tenor — Kenneth Tarver. "I'm thrilled to welcome my dear friend Kenneth back to sing Berlioz and Stravinsky with us this season," says Morlot. "Kenneth is an incredible artist and I know you'll enjoy his sensitive and lyrical approach to this music." Seattle Symphony Featured Artist this season, Tarver appears with Morlot and the orchestra in Berlioz’s Requiem on November 9 and 11 and in a chamber concert on November 10 performing Ravel’s Chansons madécasses. Later this season he joins Morlot in the Seattle Symphony’s production of Stravinsky’s Persephone on April 26 and 28. For Tarver, tenor di grazia is as much about the technique as the expressivity of the voice type. “It means not only having a beautiful sound but all the style and technical wizardry that goes with music that requires one to move the voice very quickly, sustain long melodies and have a well-balanced sound,” he explains. Kenneth Tarver joins Music Director Ludovic Morlot and the Seattle Symphony in performances of Berlioz’s Requiem on November 9 and 11.